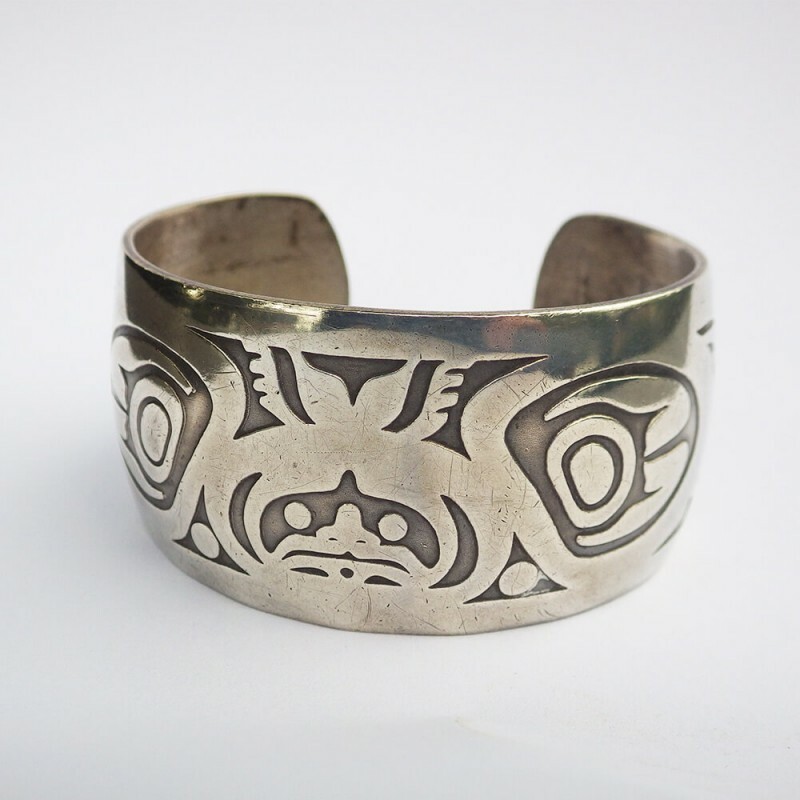 A vintage Tlingit sterling silver cuff bracelet depicting Fog Woman from the tribe tale of Raven and Fog Woman. 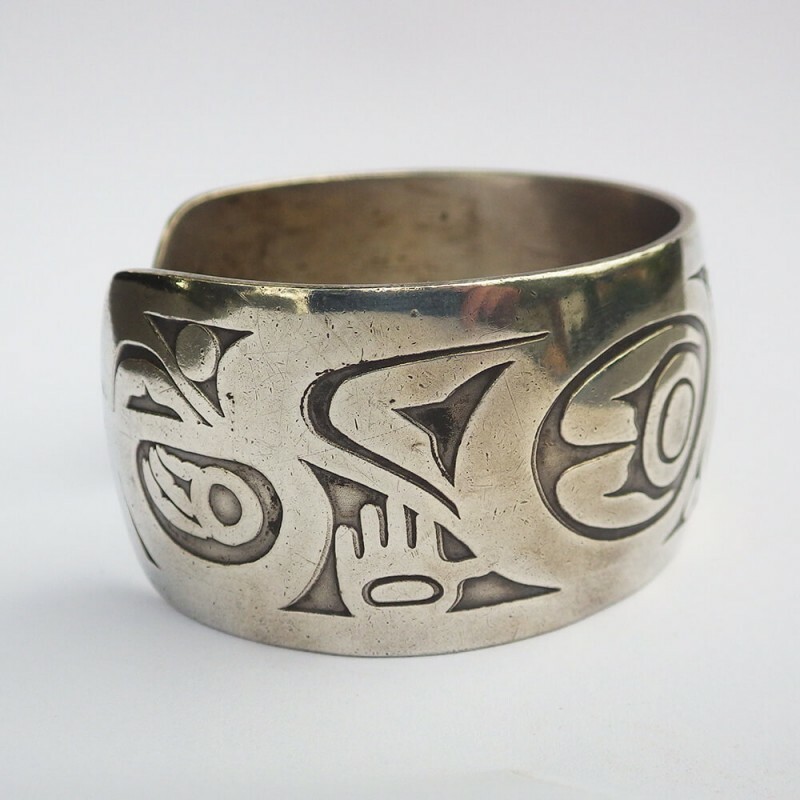 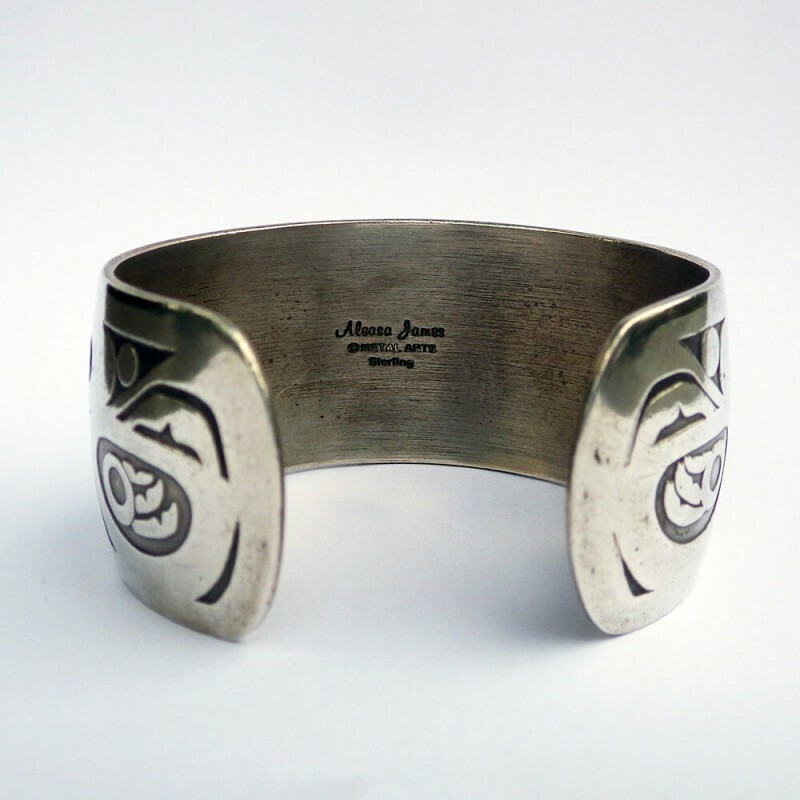 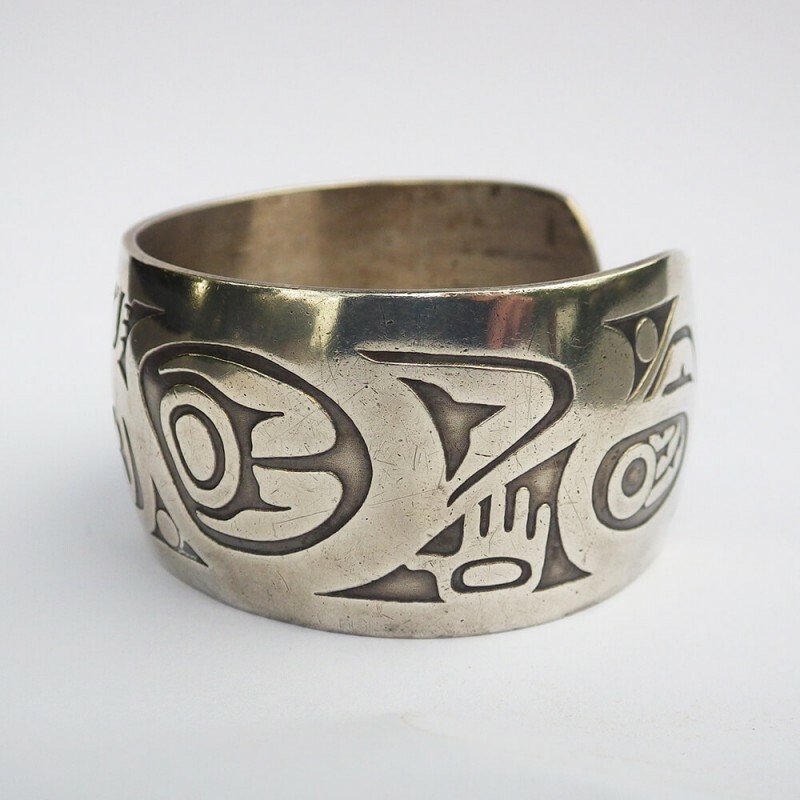 This bracelet was designed by Aleasa James who, according to the Metal Arts Group, is a "young Native American artist who developed her artistic style while living in Southeastern Alaska studying under Tlingit carver Gerald T. James of Auk Bay, and Tsimshian artist/carver Eli F. Milton of Metlakatla." 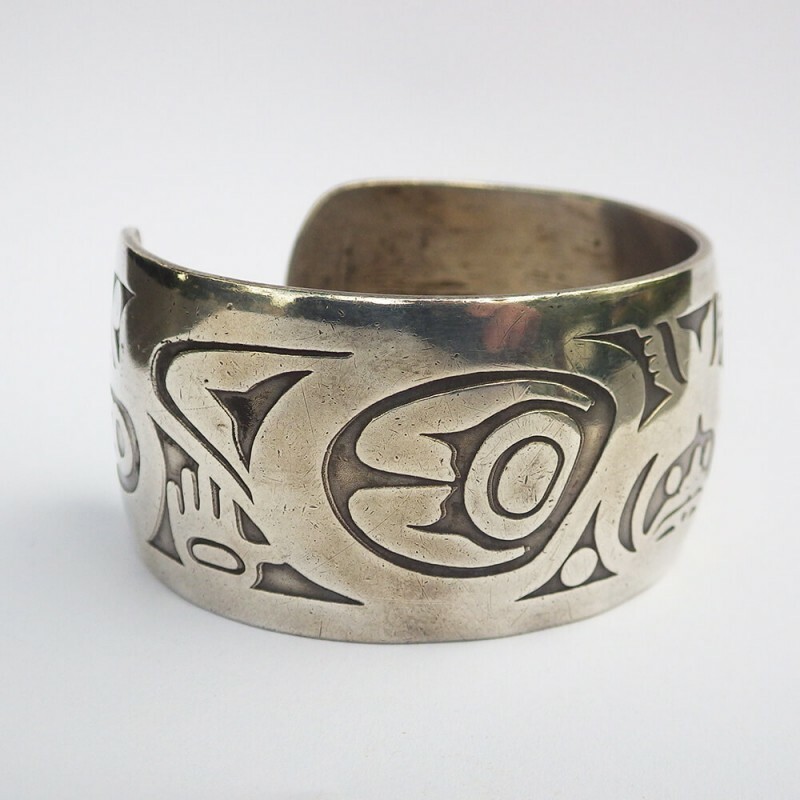 This Tlingit Native American bracelet measures 1-1/8 inch wide, with a 2-1/8 inner diameter (side to side) and an opening of 7/8 inch. 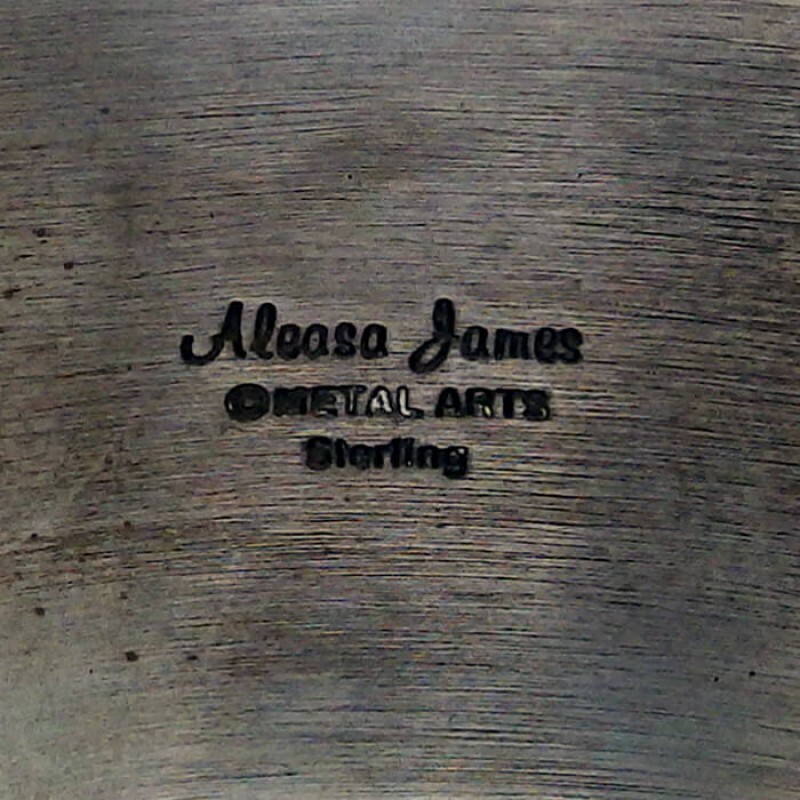 It is rather heavy, solid and sturdy, so there's no real play in the opening (which means if you have a larger wrist, this will not fit you). 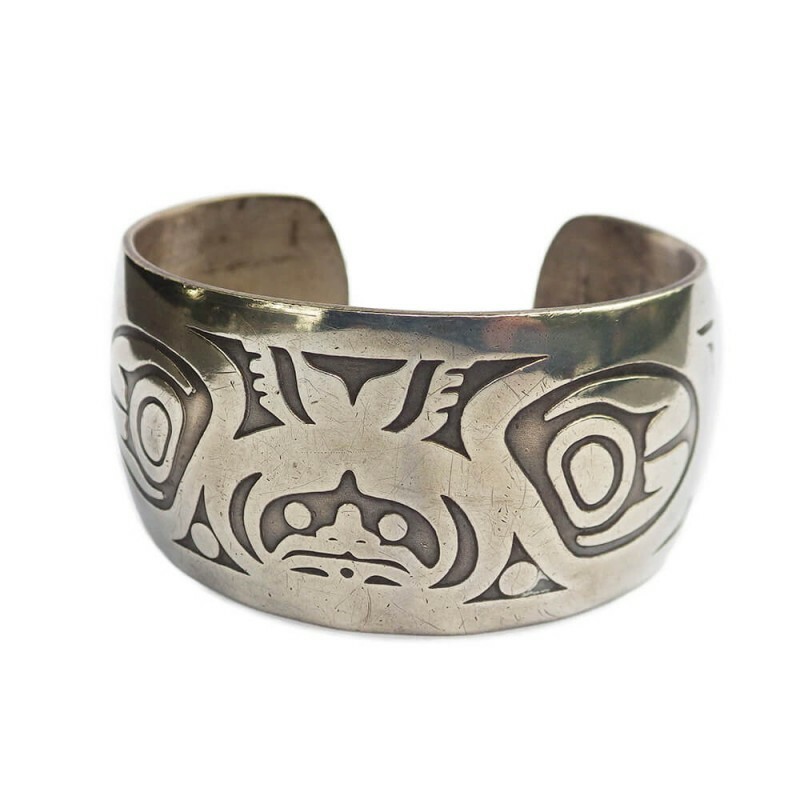 A NOTE ON SHIPPING: This bracelet will ship via USPS Priority Mail service, with signature required upon delivery.